With the 2016 installment of the Summer Olympics fastly approaching, some new sporting legends are about to reveal themselves. A great performance at an Olympics event can change your life, just like it did for these 5 athletes who put on some of the best performances in the history of the Summer Olympics. 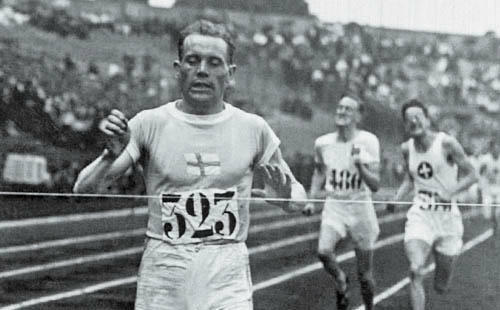 The “Flying Finn” dominated the sport of distance running in the early 20th century. He set a massive 22 world records and was almost unbeatable on the track. In fact, He once went undefeated for 121 straight races. But his best performance came in 1924, when Nurmi took home 5 gold medals and set two world records. 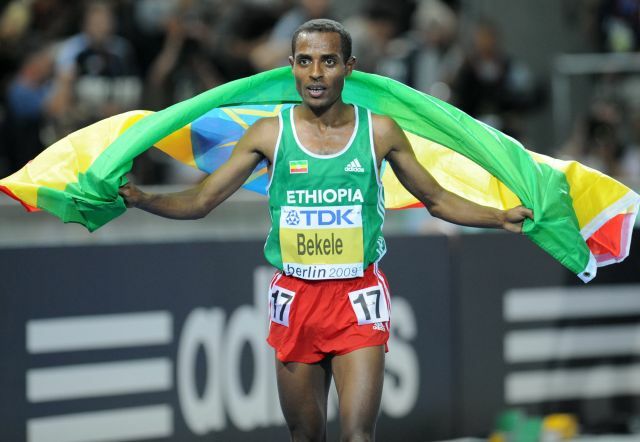 While many have won more medals than him in an Olympics event, few have ever been more impressive in their wins than Ethiopian Kenenisa Bekele. From a young child in Ethiopia, he has always excelled in running. And, in 2008, he was about to be known as the best distance runner of all time. In 2008, he on double gold in the 5,000 M and 10,000 M races and is the current World and Olympic record holder in both. These are some of the hardest events at the games and he won them both with ease in Bejing. Bolt is currently the biggest star heading into the Olympics and he can thank his performance in the 2008 Olympics for his meteoric rise to fame. 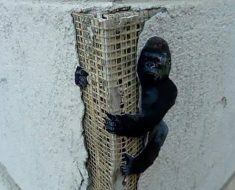 Ahead of the Olympics, he was an amazing runner, but no one knew he would do what he did in 2008. He took part in three events and won the gold in all, while also setting the world record in all three. His biggest and most famous event is winning the 100M final in 9.69 seconds (a huge world record), despite celebrating the last few steps of the race. 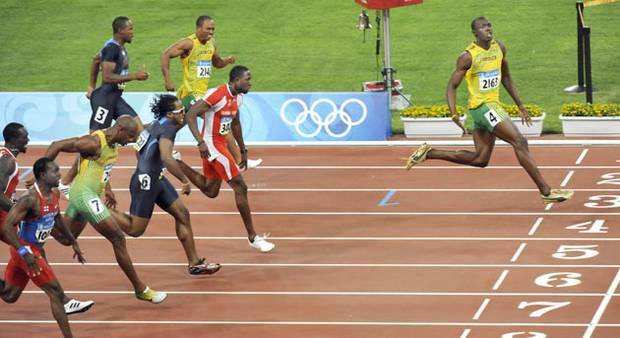 Ahead of 2008, this was the most amazing Olympic performance ever. 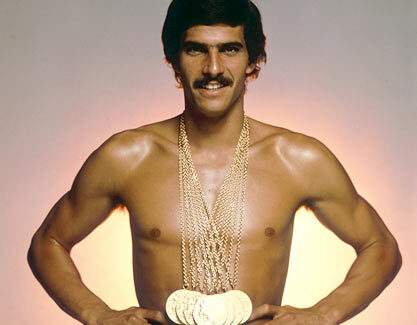 Mark Spitz was a talented swimmer who went out there in Munich and won the gold medal in all seven events he took part in. And if that wasn’t enough, he pulled off the almost unbelievable feat of setting world records in all seven events as well. 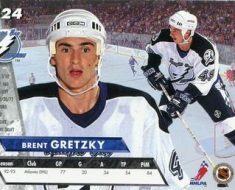 In a shock to some, Spitz actually retired after these games, despite being only 22 years old. If Spitz would have continued, there is very little doubt in anyone’s mind that he would have won many more medals. There must have been something in the air during those 2008 Games in Beijing as numerous athletes put on amazing performances, but none more impressive than Phelps. 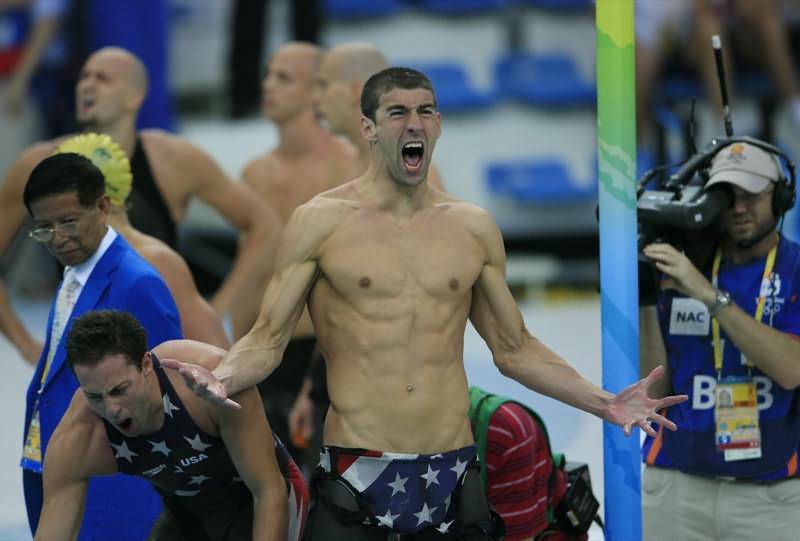 Phelps one-upped the great Mark Spitz with eight gold medals, the most ever at an Olympic games. He also tied the mark set by Spitz when he broke seven world records. Phelps is currently the most decorated and successful Olympian ever and will look at add to that success in Rio in 2016.